Everyone likes to enjoy quality time with friends and family and an elegant dinner and show is the ultimate and ideal plan for this. Generally, whenever you plan to go out for dinner with a number of people the first issue is always commuting to the particular venue or restaurant. To reach your destination all together and on time you need to have a vehicle that will accommodate everyone in one transfer. If you are looking to rent a bus or limo then we have the perfect and most suitable options for you. We offer comfortable charter buses and the ultimate dinner and show transfers to our clients at very competitive bus rates. Charter Every Thing has a large fleet charter buses, mini buses and limos for every requirement and we ensure convenient, comfortable and affordable Dinner and Show Transfers. Just let us know your travel requirement and we will provide a variety of vehicles to best suit your needs. Rent a premium charter bus, mini coach bus, luxury coach, party bus and much more when you choose our services. 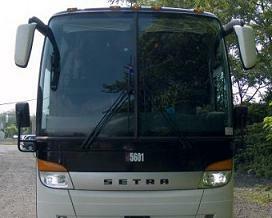 You can hire a charter bus or limousine rental based on the number of passengers and your group travel requirements. We focus on providing the highest level of customer satisfaction with our local ground transportation services. We do not only offer dinner and show transfers but you can also rent our elegant and luxurious limo and party buses for various other business or personal events and occasions. Our years of experience and skilled team of professionals offers highly advanced vehicles with comfortable seating for many different travel purposes. Whether it’s a business trip, family group or if you are looking for the best dinner and show transfers we have the best solutions for every group. 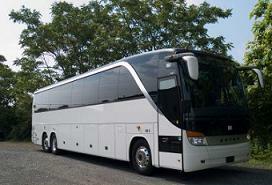 We focus on consistent performance and high standards of professional charter bus services. This is the reason we offer extraordinary services to all our clients that keeps them returning year after year. Our well trained and skilled team of drivers, dispatchers and support team will assist each of our clients the best way possible. In fact, they will offer you the ultimate travel solutions to ensure customer’s satisfaction. Our professional staff is here to assist you 24×7 365 days! You can request a free online quote to reserve the most suitable bus or limo for your group dinner and show transfers. Contact us online or by phone we’ll provide you with the finest and competitive bus and limo services for your next event!